Your hair is one of those most important features of your physical appearance. You can have the most expensive outfit, impeccable nails, and glowing skin, but if your hair is a mess, it will bring your whole appearance down, and it will be the first thing people notice. That's why choosing your stylist is a major decision. Here are some tips with things to look for when choosing a stylist for your hair! If you're in a smaller town, chances are, you've already had the discussion with your friends about the best stylist in town. So, why aren't you going there yet? If your friends are consistently showing up at events with the best 'do, you're simply doing yourself a disservice by not booking an appointment with their stylist. On the other hand, bigger towns and cities often have a plethora of talented and experienced stylists, and you may not know where to begin. Start by asking! If you see a particularly great style on a stranger, stop them and ask where they get their hair done! Most people will happily tell you the name of the salon, the stylist, and some will even be so gracious as to dig out the number right then and there! If you're not comfortable with asking strangers, take a poll among your friends. You'll be surprised to know that many of them are probably using the same place. You don't commit to purchasing an outfit without trying it on first. And you don't commit to reading an entire book without first reading the back cover or a few pages. So why are you committing to this new stylist without trying them out... and then trying out a few more? Consumers are comparison shoppers by nature, and when it's your hair at stake, this is one of the most important places to employ this tactic. However, too many people sit down in the stylists' chair, get to chatting, commit to another appointment, and then go home and realize they don't even like the style! After you've polled your friends and gotten a few random tips from the street, narrow your choices down to three, and for three consecutive appointments, try out each one. Of course, the choice will be clear who you like the best. And if you don't like any of them all that much, go back to the drawing board, and choose another three from your tips. Let's face it. No one wants to sit in a stylists chair for 2 hours when they don't like the person. And who can blame you. But all too often, the opposite is true. We sincerely like our stylists, and we can't bear to go to another. The fact is, if you don't like your hair, you are NOT with the right stylist! Rapport and meshing personalities only go so far. 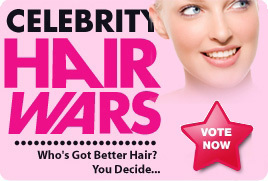 Are you truly willing to walk around with less-than-desired hair so as not to hurt feelings? Moreover, are you willing to keep paying month after month for a style you don't like just because you're "committed" to the person? Don't be ridiculous. 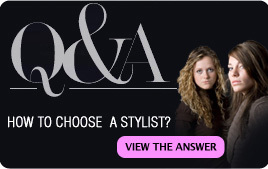 Start looking for a new stylist now, and choose the one that does your hair the best!